Count how often in a day you use hot water out of the tap. I can think of several – washing hands, taking a shower, cleaning clothes or as a shortcut to boiling water for pasta. 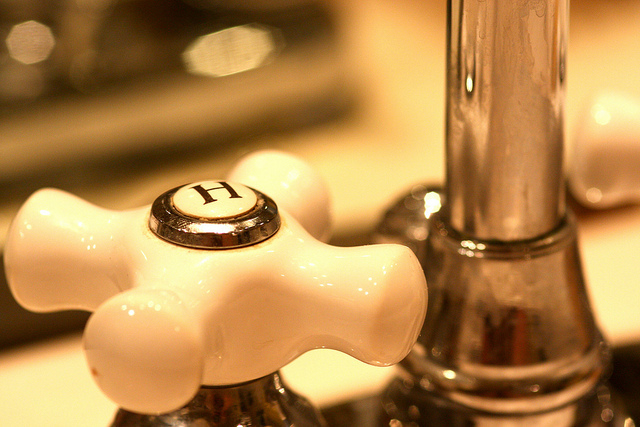 Hot tap water is the ultimate modern luxury, but you can’t always count on it being there. Your hot water might vanish during a water boiler breakdown, plumbing trouble, a natural disaster, or even something as mundane as going camping. With an efficient 5 gallon hot water system in place, you’ll never have to go without. The PowerBlanket is a tiny water boiler which heats a water supply for one person. 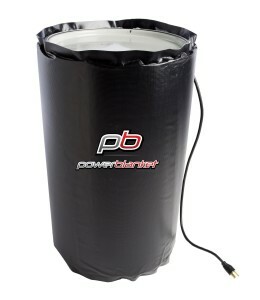 An inverter plugs into an electrified blanket wrapped around a standard HDPE bucket. It pumps out enough heat to bring water to a scalding 160°F. You’ll be pleased to know that an HDPE bucket (recycle symbol 2) is rated to a blistering 230°F. For reference, most water boilers are only set to a toasty 140°. The blanket needs a constant source of power, but it demands fewer amps than you would think. I was pleased to find that it draws at most 160 watts, about half the draw of a mid-range desktop computer – and well below the capacity of most home generators. 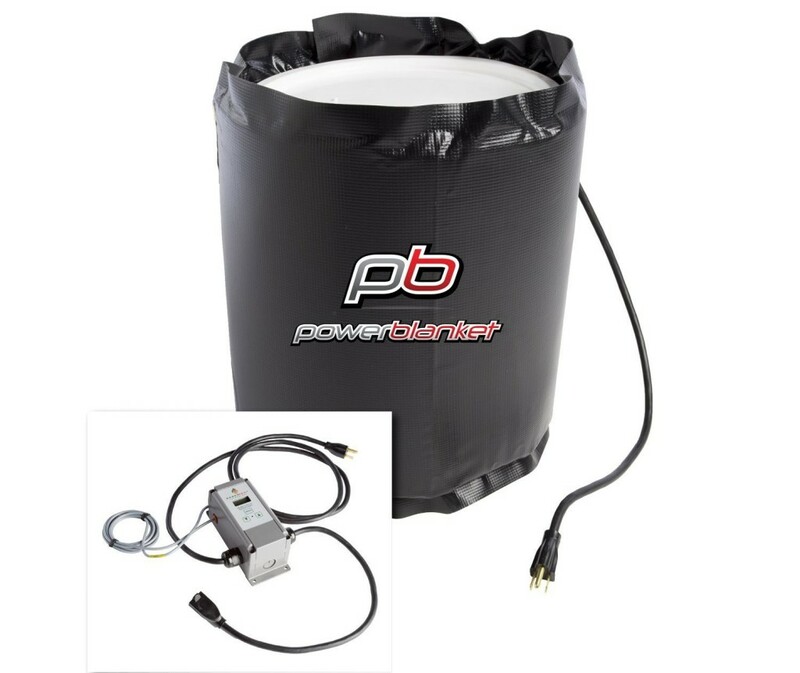 The best price for the 5-gallon bucket Powerblanket is Amazon.com. You can also find cheaper yet less energy efficient wrap-around heaters for metal buckets from BriskHeat. Also from PowerBlanket, this jumbo blanket heats ten times the water for two times the price. Assuming you have a 55 gallon container to wrap it around, it provides enough hot water for an entire family. I just hope kilowatt hours sell for less than 5 cents in your area. 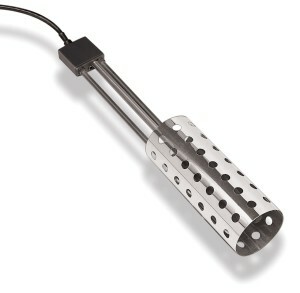 Immersion heaters like this one from Allied Precision are designed to keep livestock water from freezing. Some can heat water up to residential boiler levels. The one pictured will heat to 150°F. Since the heat source is directly in the middle of the volume of water rather than around the sides, this type of heater is marginally more efficient than the PowerBlanket assuming similar insulation. If you hope for hot water with an immersion heater, you’ll want to insulate as much as possible. Either wrap your bucket in blankets, taking extra special care not to create a fire hazard, or use one of Rubbermaid’s insulated beverage coolers. Heating with the sun takes advantage of “free calories.” Sorry Alaska, these work best in states below the arctic circle. Since solar is so diffuse, insulation is more important than ever with these snail’s pace heaters. And even with outstanding insulation, you can forget about hot showers first thing in the morning. If solar’s your thing, we have a whole separate article devoted to 5 gallon solar heaters for you. This is a great idea, but $400 for a heater? I can make an alcohol stove to heat that much water for $5 or less. Maybe there’s a way to make an alcohol stove out of a bucket. Hmmm…. The problem with this is any chemicals in the petroleum based bucket are now leaching into your water. 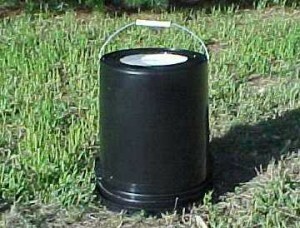 This 5-gallon bucket water boiler looks like a really good idea. I can see how this would be a good idea when going camping. I wonder how long it would take to heat up the bucket? Take a shower at your neighbors. And if she’s good looking she might rub your back. He he.